With over 10 years experience in the finance industry I love my job and am continually encouraged by the diversity presented with each finance scenario that passes over my desk. On a day to day basis I look after your finance requirements, from cars to trucks and tractors, houses, commercial property or business investment. I enjoy assisting each client to reach their finance goals as seamlessly as possible. Outside of work I am the fourth generation of my family to own and operate the Quinn family grazing property ‘Sunny Brae’ in the Crownthorpe district north of Murgon. From cars to trucks and tractors, houses, commercial property or business investment – I enjoy assisting each client to reach their finance goals as seamlessly as possible. What has Natalie recently financed? Recently Natalie Quinn - QPF Finance Broker was honoured to be part of Matt & Renee Clarkson’s journey in the establishment of their Wallumbilla based cartage business, Clarkson Livestock Transport. Now armed with a body truck and dog, the Clarkson business is servicing the wider Maranoa region! Here they'll be carting cattle to Roma Saleyards on Monday’s and Wednesday’s and livestock and general freight the remainder of the week. Nat is a pleasure to deal with and always makes our transactions feel seamless! Would highly recommend her as your first choice every time!!!! 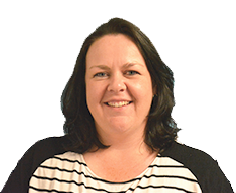 Our family has dealt with Natalie for a number of years now, from motor vehicle finance, through to investments, agribusiness and commercial lending. Her service and professionalism has always exceeded expectations. Always a pleasure to deal with, and nothing is ever a hassle. We highly recommend Natalie for all broking options. You won’t be disappointed. Natalie is amazing at her job and offers a high quality professional service. She goes out of her way to do the best she can for you. Highly recommend using Natalie for any finance situation.